Apartment Queens Court is a trendy property with well-kept and bright interiors, situated on OU Colony Road in Gachibowli, Hyderabad. It is very close to OU Colony Bus Stop and not far from Borabanda Railway Station. The property is also near Rock Park and Qutb Shahi Tombs. The property has a tasteful and spacious lobby loungee with wood clad false ceiling, and there is an elevator on the premises. All rooms are bright, neatly furnished, and well-lit. 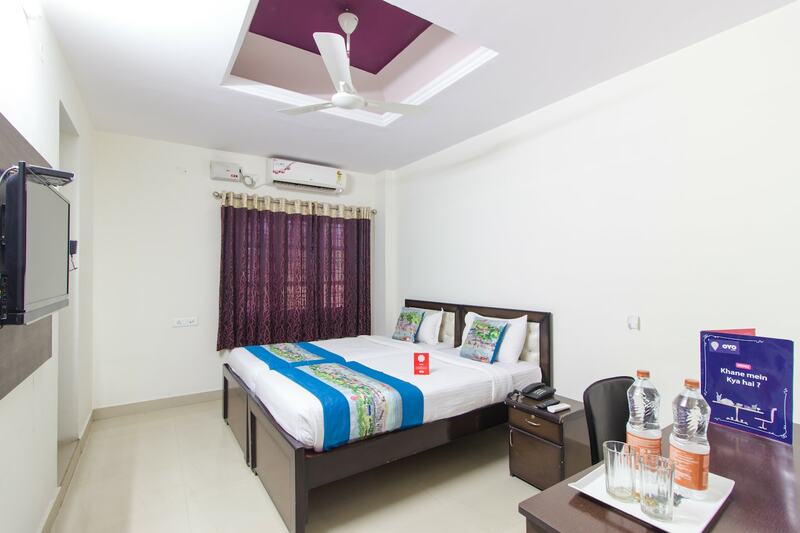 Each room is equipped with AC, TV, and seating area. The trendy bathrooms have geysers. Free internet, parking, card payment facility, laundry services and power backup are also provided. CCTV cameras are installed for the protection of guests. Some of the nearby eateries are Pepper Jack, The Gryll Cafe, Biryani Art, Steamz and Karachi Bakery.